These are the most common insurances accepted by Dentists in Washington, DC. I've been to a few dentists in my life time and Dr. Deckard is the best one yet! I've been coming to Precision Dentistry in the past two years and everyone from the hygienists, to the office manager, to Dr. Deckard himself has treated me with nothing but meticulous care and respect. The office is very modern and clean. The staff are attentive. I even look forward to my cleanings every 6 months because my whole mouth feels rejuvenated afterwards. 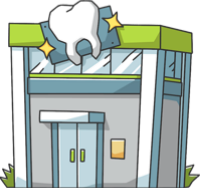 During my last check up, Dr. Deckard found a cavity in one of my molars and even put a filling in it right then and there. The procedure only lasted 20 minutes. It was so quick I barely noticed it happening. I'm amazed by both his efficiency and close attention to detail. Afterwards, he patiently answered all my questions and I've had no issues with the filling at all, and that was done a few months ago. I've referred all my friends and family in the DC area to him. It seems like finding a dentist who is both caring and trustworthy is a rarity these days.. I have been going to this practice for several years when Balshaw was there. I have never done a serious dental work in this practice, only annual cleaning with the hygienist and couple of treatment with gum infection on the same area - tooth 18. Recently, Dr. Deckard suggested to replace my old filling on tooth 19 with a crown, however I had no complaints on that tooth. Apparently, right after the crown on tooth 19, I started having a terrible pain and when I went back with the deadly pain after five days, doctor confirmed that the infection that I have been having was still there and after the crown it got more aggressive. I keep asking to myself was it right to work on an area where someone has been having infection going on for a while? Shouldn't one make sure that the infection is gone before making any intervention in that area in order not to put the patient in this miserable situation? Dr. Deckard was very understanding and apologetic that I was going through this terrible pain, and in order to fix this he kindly found a very good root canal specialists in DC Endodontic Center who have been trying hard to clean up the infection from my gum and bone. They even did a root canal though the crown as the infection has been spread also in that area. Unlike the understanding and self-balanced behavior of Dr. Deckard, his front office secretary Tyrone has been very aggressive and showed mal-educated behavior whenever I would call for any clarification on my insurance payments or looking for the doctor on the phone. He would call me being aggressive and interrupting him, he even once shut the phone while I was talking. I would expect that someone working in the front office and responding to clients, especially to unhappy clients, clients who have been victims of mal-practice and who have been going through the pain 24 hours a day, more than a month, should still try to be understanding and accommodating. If you are not, then you are not in the right job. It has been a month after this mal-practice, and I never thought I will take a time and write this review, but the idea was given by Tyrone himself, who told me 'yes, go ahead, you can complain wherever you want, I don't have time for you, just tell me what document you need and I will email you. Thanks for the advice, here is my first 'bad' and candid review of my life..
An excellent office. I've never been too keen on going to the dentist but I popped in the office in the middle of my work day and the staff was amazing. Dr. Deckard was very patient and careful with me. Overall a great experience..
the best!!!! !chose only Georgetown smile.. Wonderful and high tech office, great staff, parking is perfect. Highly recommend it �. Perfect service. With Georgetown Smile you're in good hands. Nice staff, they will take good care of you..